In a medium non-stick skillet, heat the oil. Add the zucchini and onion; saute until the onion softens, 3-4 minutes. Mix in chickpeas and tomatoes, breaking up the tomatoes with a wooden spoon. Simmer until the tomatoes have released their liquid and are soft, 12-15 minutes. While the sauce cooks, prepare the spaghetti according to package directions. Drain the pasta and turn it into a warm serving bowl. Mix the parsley and capers if using, into sauce. 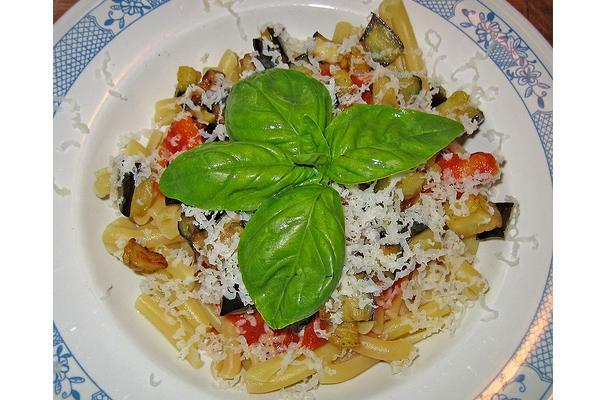 Pour the sauce over the spaghetti and serve, passing a bowl of grated cheese to sprinkle over the pasta, if desired.